MOHAVE COUNTY–When you hear the word Thanksgiving many images might pop into your head. Large feasts with all the trimmings, family time, football, and cooler weather are just some of the things you might think about, but do you know how it all began? In 1621, Plymouth colonists and Wampanoag Indians sat down to share an autumn harvest feast and it is credited as the first Thanksgiving. 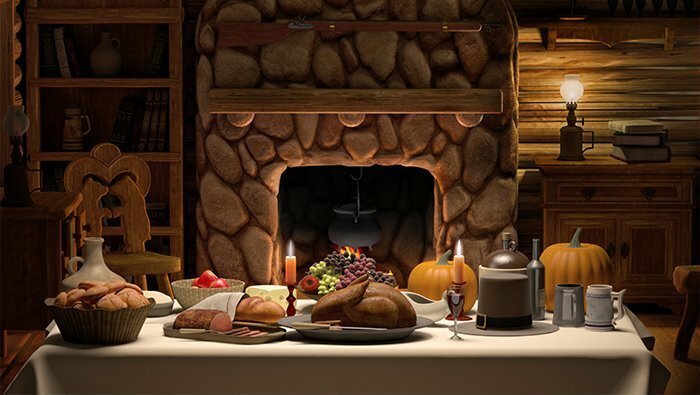 Over the next two centuries Thanksgiving was celebrated by individuals and was not recognized as a national holiday until 1863 when President Abraham Lincoln proclaimed Thanksgiving would be a national holiday celebrated every November. The current concept of Thanksgiving developed in the original colonies of New England, but the Separatists who came over on the Mayflower and the Puritans who arrived after that brought with them their traditions which included days of fasting during times of strife and feasting to celebrate good times to thank God, which also helped to shape our current concept of Thanksgiving. Many cultures hold annual celebrations of harvest and bounty and give praise to their gods with fall festivals. These traditions date back to the ancient Egyptians, Greeks, and Romans. Even the Jewish harvest festival, Sukkot, bears a striking resemblance to Thanksgiving. The Native Americans celebrated the fall harvest with feasting and festivity long before that first Thanksgiving and the colonists coming to America. We know that the Wampanoag Indians and the colonists sat down and feasted together, but what brought them together? Well the first winter that the colonists arrived was brutal for them. Many of them stayed on board the Mayflower, unable to get to shore, and there they suffered from exposure, scurvy, and contagious diseases. By the time spring rolled around only half of the Mayflower’s original passengers were still alive. They went to shore weak and with little knowledge of the land. They were surprised to meet a Native American named Tisquantum, “Squanto”. Squanto was a member of the Pawtuxet tribe who was kidnapped and sold into slavery by an English sea captain. He was able to escape his captors and made his way to London where he joined an exploratory expedition that returned him to his homeland. Squanto got to know the Pilgrims and taught them how to survive in their new home. He lived with the Pilgrims for 20 months and showed them how to cultivate and harvest crops, catch fish, hunt, and avoid poisonous plants. Come fall they had an abundance of corn, fish, fowl, turkey, and venison. The Wampanoag and Pilgrims had become allies and sat down to celebrate the harvest with a feast and festivities such as the shooting of arms, where the Native Indians participated and stayed with the Pilgrims for three days. Today, Americans celebrate Thanksgiving on the 4th Thursday of November. This year as you sit and feast with your family, watch football on television, or spend the day however you choose, remember the history of this popular holiday and give thanks for your blessings.